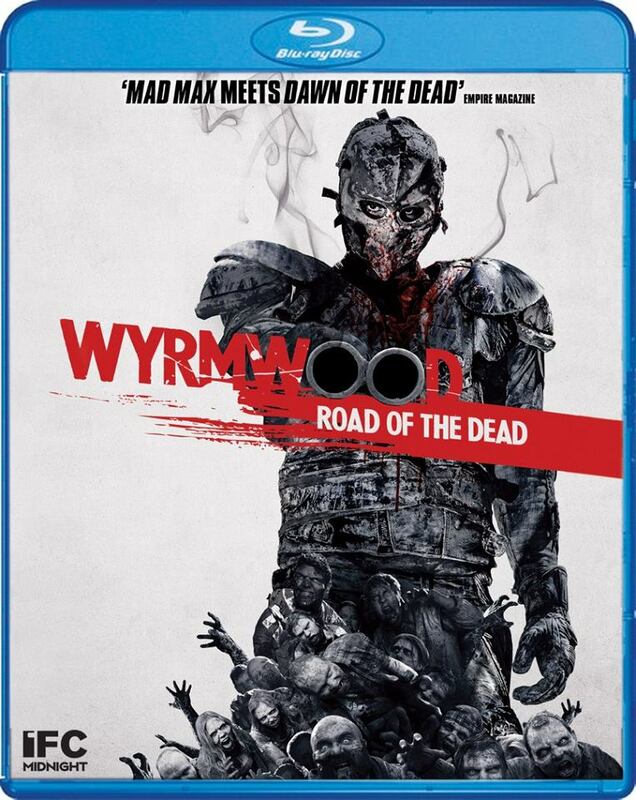 Schlock-Wire: Scream Factory Visits WYRMWOOD: ROAD OF THE DEAD On Blu-Ray In August – Schlockmania! In the aftermath of a comet breaking up over Earth, most of the planet’s population quickly succumbs to a strange disease which turns them into “zombies.” Few survive, and those who do, quickly discover all existing fuel sources have been rendered useless by the plague. Trapped in a wilderness teeming with living dead, one of the survivors, Barry, has lost everything except his sister, Brooke. But even as the disaster unfolds, Brooke is kidnapped by a gang of paramilitary thugs and dragged off to a terrifying medical lab run by a psychotic “doctor” who is performing a series of deranged experiments on plague survivors. As Brooke struggles to devise an escape plan, she realizes that the doctor’s experiments have given her strange powers over his zombie captives. Unaware of his sister’s new powers, Barry teams up with fellow survivors to rescue her and protect what family he has left. With a healthy dose of Mad Max-inspired vehicular mayhem and an enormous serving of pure, raw talent, Wyrmwood: Road of the Dead is a high-octane, visceral thrill ride that is a must for any horror fan.